ISO 9001:2015 clause 7.2 requires your organisation to determine the competency requirements for people performing work under its control, take any actions necessary to resolve any competency gaps and evaluate the effectiveness of the actions. Assad Toor, Service Implementation Manager at Qualsys has assisted dozens of heavily-regulated organisations to implement ISO 9001:2015 management systems. He said: "I often get asked how organisations can demonstrate their stakeholders are competent using EQMS. Training Records Manager is a robust tool for documenting and recording competency. However, it's the combination of modules which makes EQMS a really powerful tool for greater insights into the evaluating competency." In this article, Assad has shared three questions to ask when planning your strategy to tackle ISO 9001:2015 clause 7.2, and how you can use EQMS to identify, assess, monitor and address competency gaps. 1) Who are the people performing work under our control? ISO 9001:2015 clause 7.2 refers to People performing work under its control. This embraces contract, agency people, and all other outsourced providers. Many organisations lose track of all their different external providers and this poses a great threat to their ability to produce products and services at a consistently high quality. Supplier Manager by Qualsys enables organisations to keep a central record of anyone performing work under the organisation's control, and associate any risks, NCRs / issues, audits and training documentation. If you want your suppliers to manage their training requirements, the Supplier Portals provide a very simple and easy view of their actions. This controlled view ensures each supplier will only ever see the information relevant to them. 2) How do I retain appropriate documented information to evidence competence? ISO 9001:2015 requires organisations to retain documented information to evidence competence. There are two fundamental parts to this: documentation and evidencing competence. 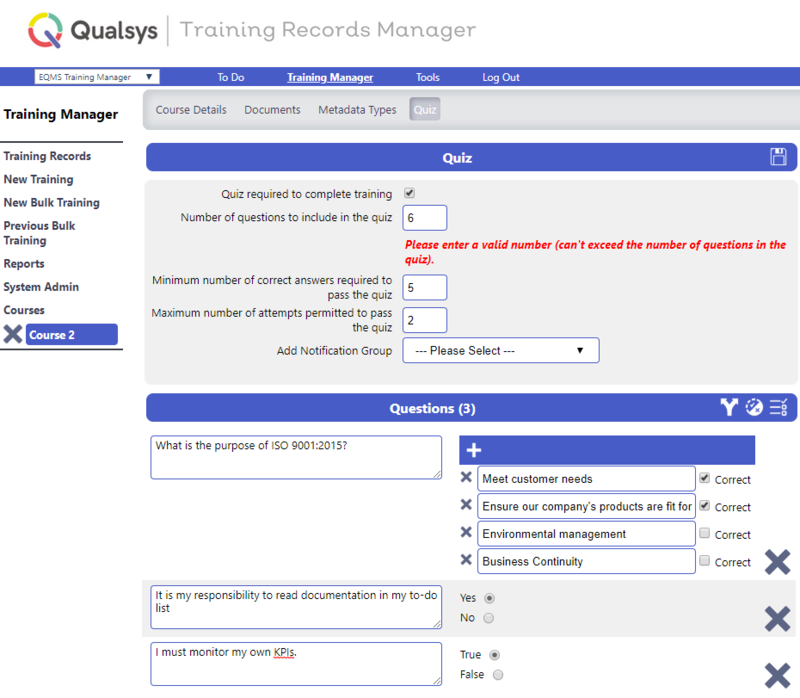 With Training Records Manager by Qualsys, each stakeholder can be given access to update and manage their set of training records and requirements. Custom forms ensure the relevant information is captured. In terms of managing any gaps, the competency gap matrix provides a live graphical tool to identify training requirements, expired records, unconfirmed training, valid training and training which is soon to expire. 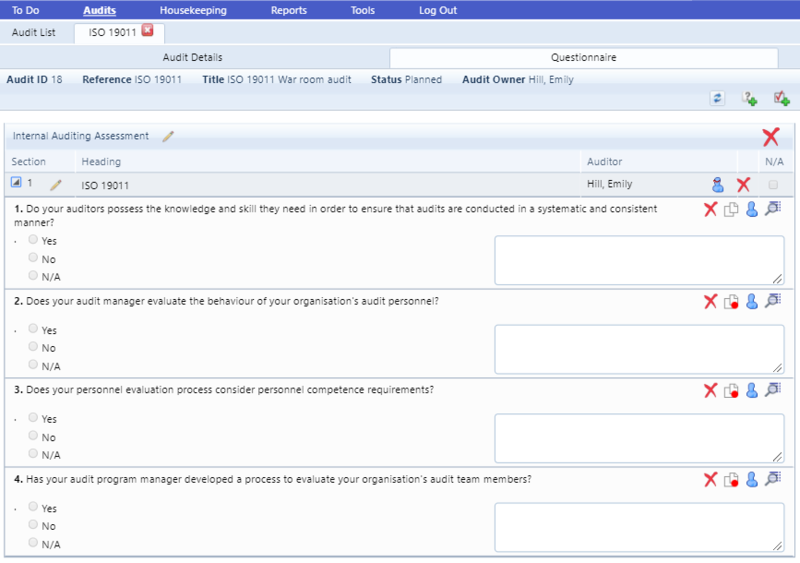 Each training record may be given a unique quiz to test how well employees have understood the course content. If an employee fails, notifications are sent instantly and workflows can be initiated to ensure competency gaps are filled. 3) How do I determine competency deficiencies? ISO 9001:2015 defines competence as the "ability to apply knowledge and skills to achieve intended results." So, how to do you monitor whether intended results have been achieved? Knowledge-based—Error based on the absence of knowledge of the requirement, expectation, or need. Cognition-based—Error based on the absence of ability to process the knowledge necessary to fulfil the requirement, expectation, or need. Value-based—Error based on the absence of willingness to accept the requirement, expectation, or need. Reflexive-based—Error based on the absence of ability to immediately respond to a stimulus. Error-Inducing Condition-based—Error based on the absence of ability to counteract the error-inducing condition. Skill-based—Error based on the absence of manual dexterity. Lapse-based—Error based on the absence of attention. 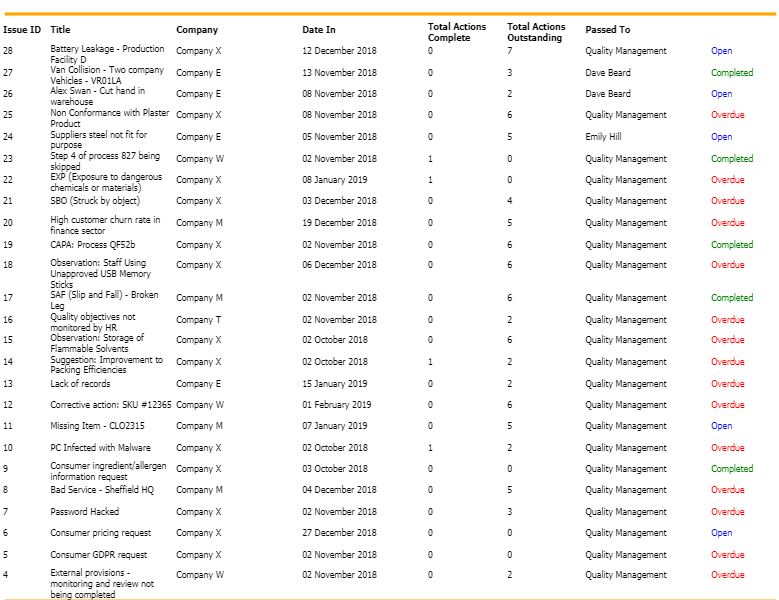 In CAPA Manager by Qualsys, for example, report 903 provides you with a statistics of certain issue types, issue type sources, actions completed, time to complete, outstanding actions. This data will tell a story of employee competency gaps. 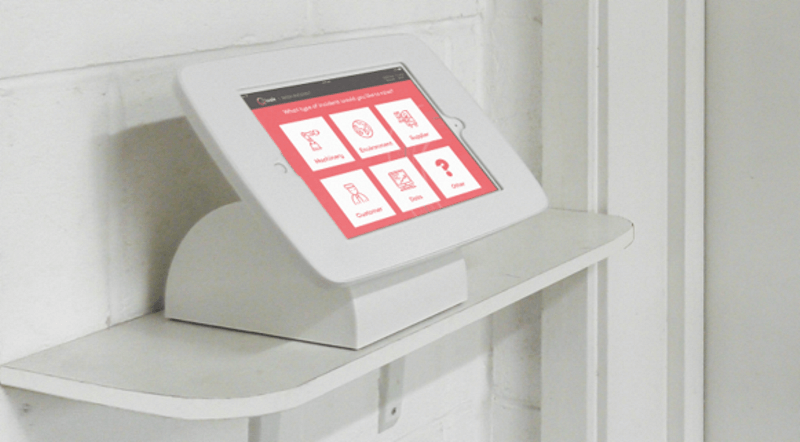 If you haven't already started using Kiosk, the extension to Change Manager by Qualsys, it's a useful tool to collect feedback from your customers, suppliers and employees. The form feeds data into Change Manager, which can then automate workflows or be used for reports. In a war room meeting, you gather all the vital information in one place and brainstorm with all the people who are working on a particular project. Scheduling a monthly or quarterly war room meeting using Audit Manager by Qualsys can be a valuable tool to training, learning and filling any competency gaps. Download our free Quality Management Strategy planning playbook for high-growth organisations.